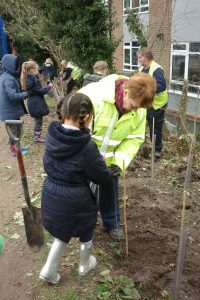 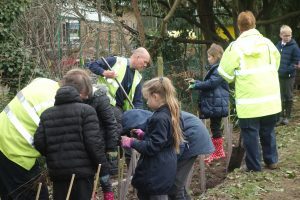 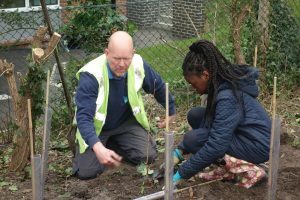 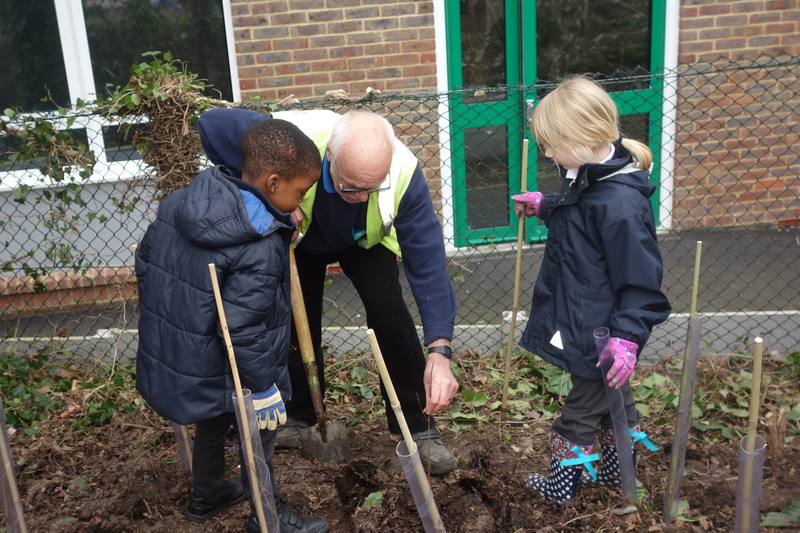 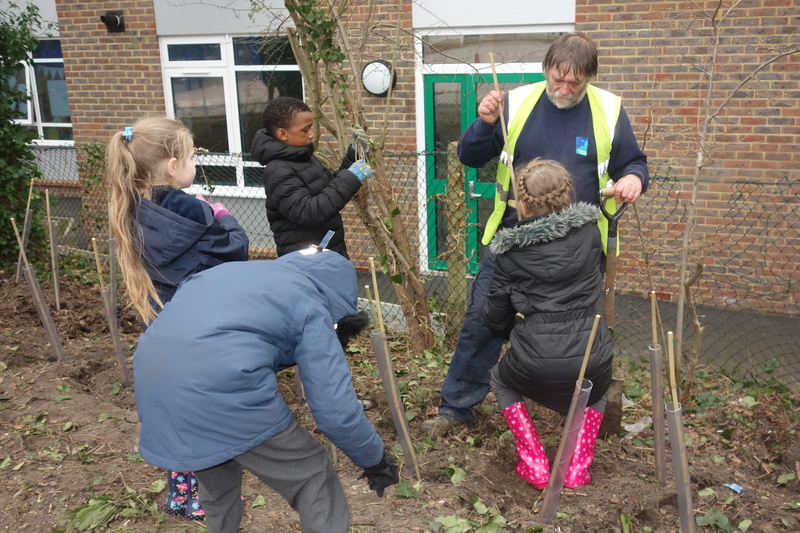 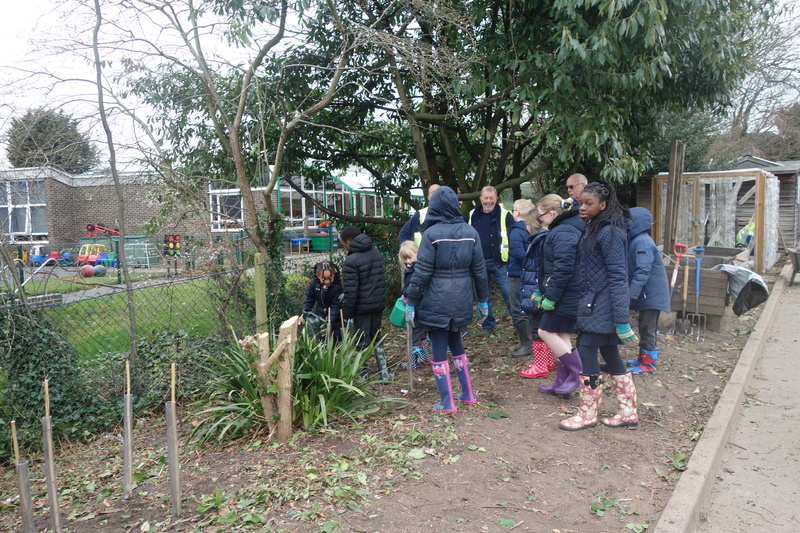 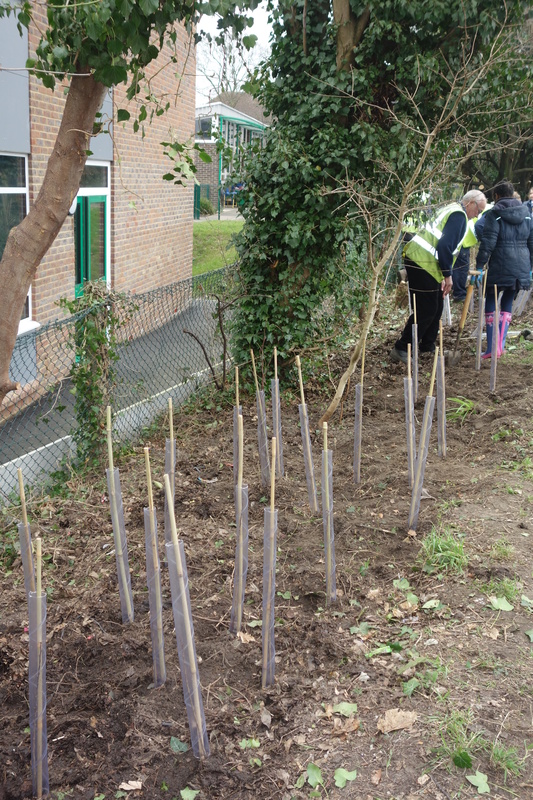 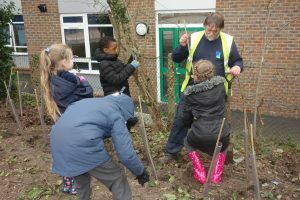 On Thursday we helped a team of volunteers from Thames Chase to re-plant our hedge at the back of the school. 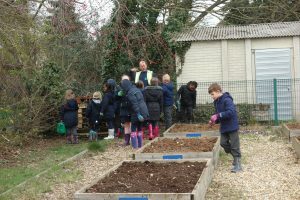 All the Eco Warriors helped. 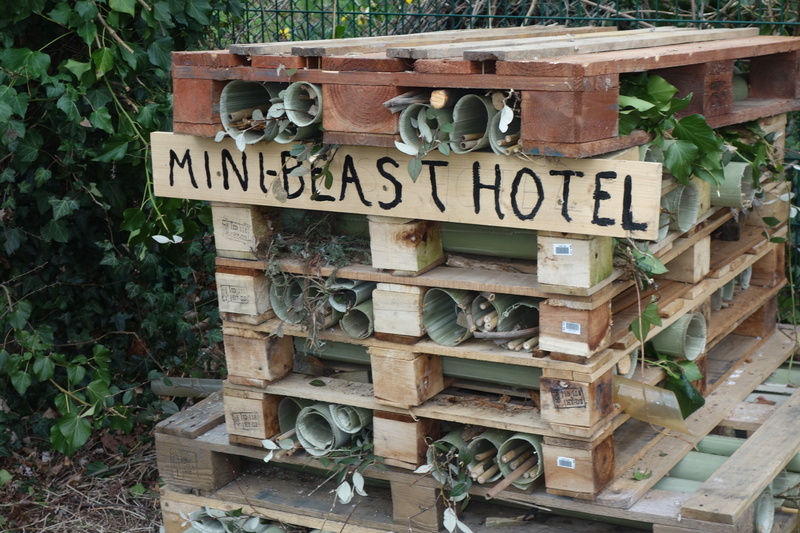 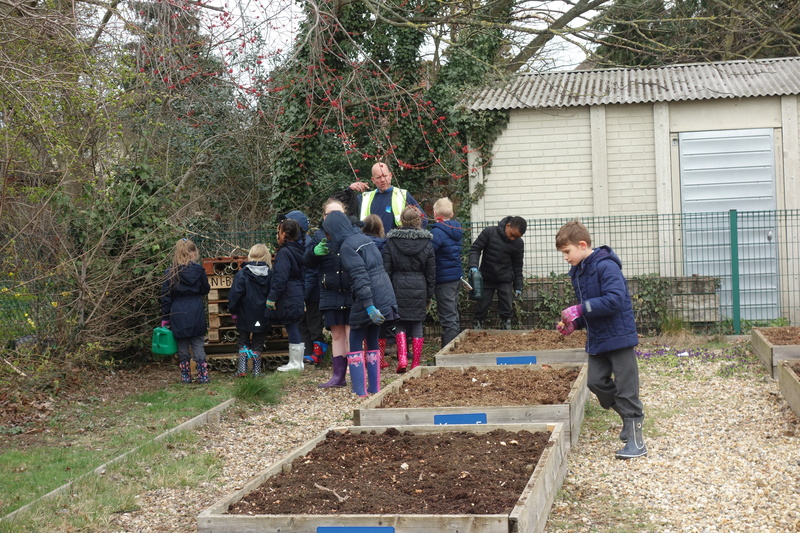 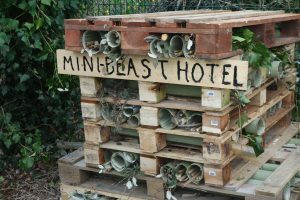 The people from Thames Chase also repaired our growing beds and built us a lovely mini-beast hotel. 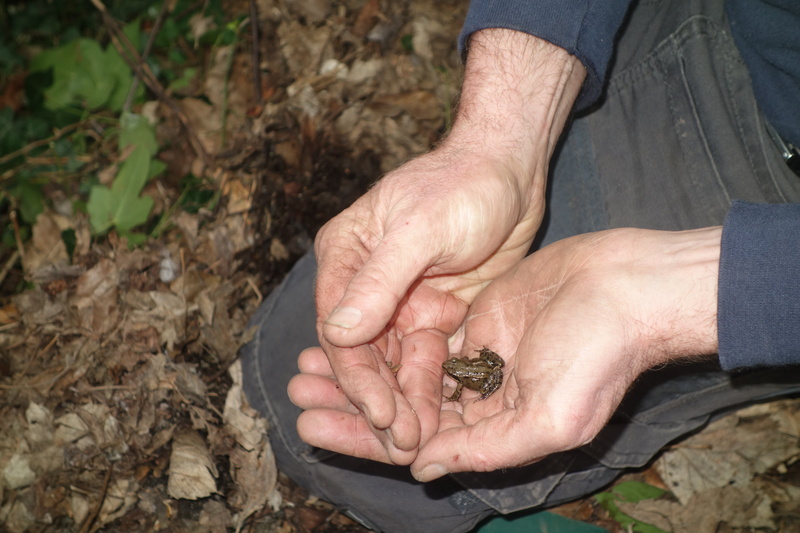 We found a little frog. 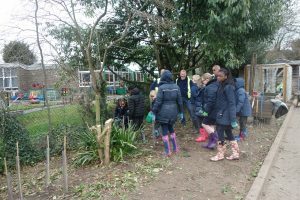 We really enjoyed it and want to say thank you to all the people at Thames Chase!